Boat Description This awesome 18-footer comes with two pedestal fishing chairs, livewell and roomy lounge seating. 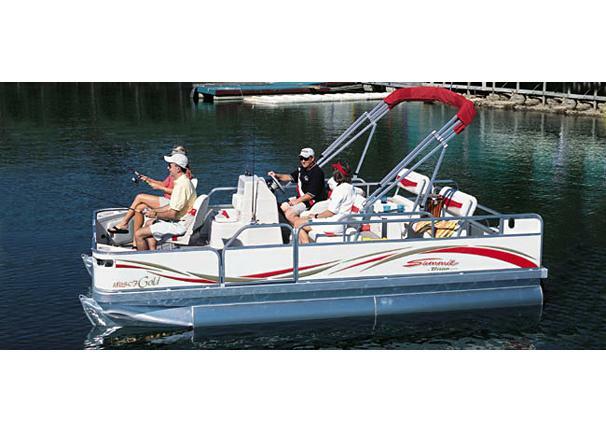 And although theres plenty of room to roam inside, its as easy to tow, launch, load and garage as a bass boat. Attention to detail and state-of-the-art construction means the Triton Summit Pontoon 180 SC-F Gold is built to last a lifetime.